MOSCOW – Russia opened an investigation into suspected terrorism after a 17-year-old youth blew himself up on Wednesday in the lobby of an office belonging to Russia’s Federal Security Service (FSB) in the north of the country. Russia’s Investigative Committee said the unnamed teenager had detonated a homemade bomb in the lobby of the FSB, the country’s main domestic security and intelligence service, in the city of Arkhangelsk. It said he had died on the spot. Investigators said they had identified the teenager as a resident of the city, which is around 20 miles north of Moscow, but did not name him. 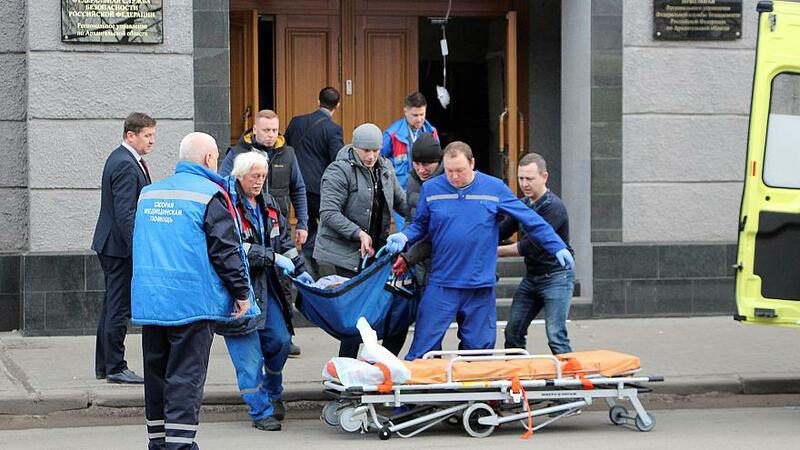 Three FSB employees were wounded in the blast, the Investigative Committee said in a statement. It published what it said was a CCTV image of the bomber in the lobby of the building. The picture showed a young man with his right hand inside a bag that he was holding with his left hand. Pictures posted on social media by witnesses after the blast showed what looked like a body lying on the floor outside the heavy wooden entrance doors to the FSB building. A spokesman for the Investigative Committee said the investigation would be handled by Moscow and that Russia’s top investigator, Alexander Bastrykin, wanted the teenager’s motive and other details to be established as soon as possible. That would involve looking into who he was in contact with and his family circumstances, the spokesman added. Russian media published an unconfirmed warning posted by the bomber on social media before the blast. The bomber described himself as a communist anarchist and said he had decided to act because the FSB was fabricating cases and torturing people. Earlier this month, an 18-year-old student killed at least 19 people and injured dozens at a college in the Black Sea region of Crimea. He went through the building randomly shooting at fellow pupils before killing himself.